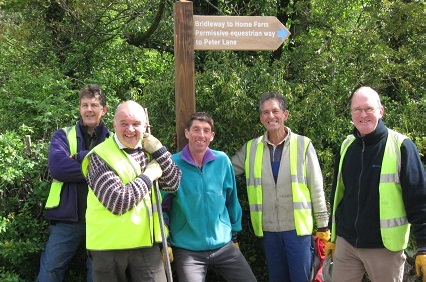 The AONB team organises and leads a programme of weekly practical tasks of habitat and access management, together with a monthly litter pick around the lanes of the AONB. Tasks range from coppicing and scrub-clearance to pond management and maintenance of the footpath network. Further details on these tasks and other volunteering opportunities can be found on the What’s On page. All volunteers must be registered. If you intend to come along, please ring the AONB Office to book a seat in the Land Rover and/or to check that the task is still running as planned as the programme is sometimes subject to change due to weather conditions or other circumstances.